Rigid wire form filled with long fiber sphagnum moss and ready to plant. 11" high and 21" long. 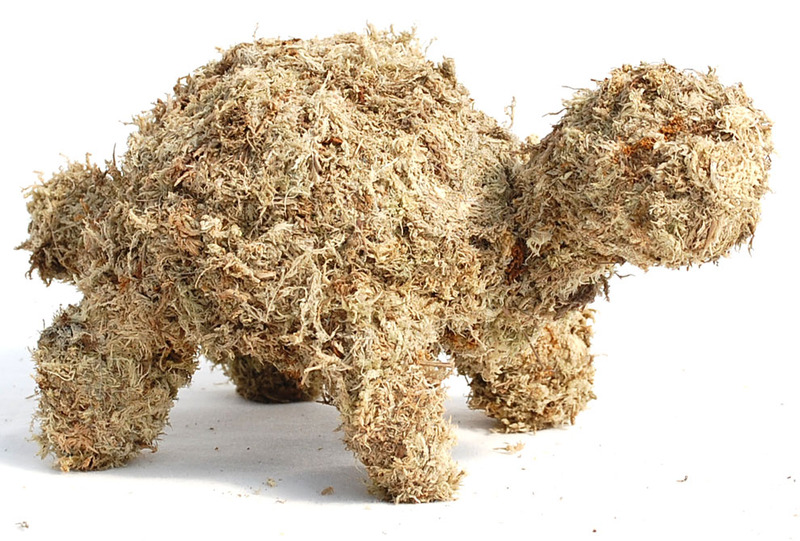 Large turtle stuffed with sphagnum moss ready to plant. Rigid wire frame filled with green moss. The frame is 21" long and 11" high. The body is 12" in diameter. Very rigid frame is welded from rigid steel wire. Use it with moss or just as a guide with ivy type plants.